Prism informatics, a rapidly growing software development and strategic consulting company, has bagged a SAP license deal in Gujarat from one of the largest company in industrial machinery and component vertical. The customer is one of the largest manufacturers of elevators located in Gujarat with widest range of elevators in India and abroad. Having more than 14,000 customers globally it is one of the most advanced and trusted name in the industry. 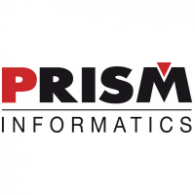 According to the deal, Prism Informatics will deliver the following to the customer - SAP ERP, SAP BusinessObjects, Sybase Unwired Platform, SAP CFIM and SAP Payroll.